It´s here again, 31 days of horror! This was entertaining Groundhog Day influenced horror comedy with good cast and ideas. "After a car wreck on the winding Mulholland Drive renders a woman amnesiac, she and a perky Hollywood-hopeful search for clues and answers across Los Angeles in a twisting venture beyond dreams and reality." First time viewing. I'm looking forward to finally watching this. Wow, what a mind ****. I guess typically Lynch. It's a great movie, one that I'll be re-watching again very soon. ^ Beautiful. Angelo Badalamenti is a genius. Sleazy giallo directed by Andrea Bianchi but not quite what i was expecting. "Four men set out in the Wild West to rescue a group of captives from cannibalistic cave dwellers." Another first time viewing. Looks good. Extremely entertaining horror mystery from the makers of 2015's Turbo Kid about a 15 year old lad (who's a bit of a conspiracy theory nut) and his group of buddies who spend there days and nights chasing girls,hanging out at the arcades,playing manhunt etc etc basically living there life without a care in the world but all of this soon changes when they believe they have a serial killer living on there doorstep! I can see why people are making the comparisons towards the Netflix series Stranger Things what with the group of teen boys,80's setting and so on but this is a lot more adult in content and takes quite a sinister violent turn towards the films finale which might surprise some as up until then it is relatively bloodless! Distinct 80s feel with the fashions,video arcades and Bananarama's Cruel Summer on the soundtrack this was great fun and kept me engrossed throughout its 1hr 46 minute running time! Well worth checking out! 8/10. https://youtu.be/Lxj0mgS3fRg - Summer Of 84 trailer (2018). "A woman is pursued by her murderous, psychopathic twin sister in the days leading up to their birthday." Simple story but i liked the atmosphere and this italian film was very well made. 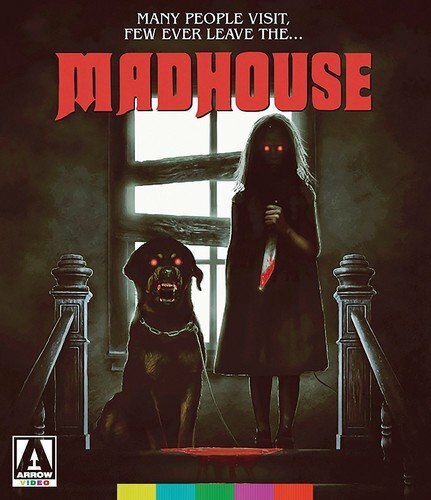 Madhouse was shot in Savannah, Georgia and i liked the cast although there are no big stars. 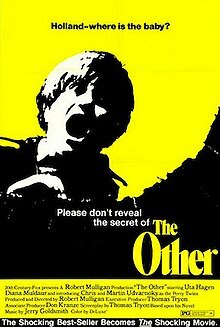 "An outcast military cadet taps into a way to summon demons and cast spells on his tormentors through his computer"
Another first time viewing. Will it be another winner -- probably not, but I've been meaning to check this one out for a while anyway. Well, I enjoyed it. It's a nice slow burner, with an explosive final 15 mins. This was a typical early 90s b-horror film. The films stars Karen Black, Rainbow Harvest, supercute Kristin Dattilo and hot Charlie Sprandling. Bullied schoolgirl gets her revenge but can´t handle the power, we´ve all seen this before. 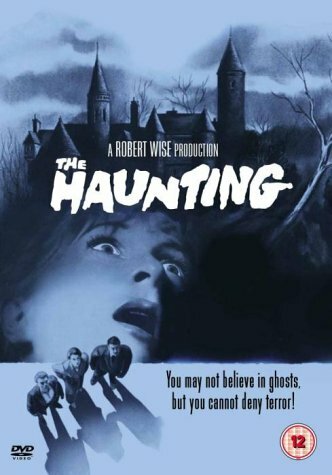 Two pretty obnoxious high school kids continuously prank there elderly neighbor Harold Grainey (James Cann) into thinking he's being haunted and catch it all on microscopic cameras they have installed in his home as part of a haunting experiment they are conducting! Whilst filming they become shocked by his sometimes bizzare behaviour and wonder why he's spends his nights down in his basement which at all other times he keeps padlocked! I think I actually visited this round about this sort of time last year and it's a well made suspense drama with a terrific performance from James Cann and plays out a lot,lot different to what I was expecting with quite a sad twist in the tale! German Blu Ray (I think one of the only territories it was released on Blu) features a decent wide-screen print and a 5.1 DTS HD German, English soundtrack with the films trailer and interviews with James Cann plus the films two main protagonists Keir Gilchrist and Logan Miller. Yeah definitely check out Summer Of 84 it's an excellent watch and Evilspeak is a lot of fun J2ME. Not sure whether I have seen Mirror Mirror or not Atomik but I like the late Karen Black and Charlie Spradling who I remember well from the fun Meridian (also 1990) alongside the beautiful Sherilyn Fenn. "After a mysterious, lost night on their honeymoon, a newlywed couple finds themselves dealing with an earlier-than-planned pregnancy. 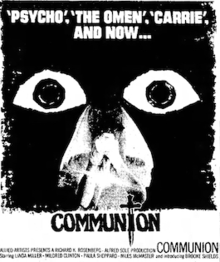 This was a good "antichrist theme" film with strong Rosemary´s Baby influences. "A powerful virus is unleashed on the British public following a raid on a primate research facility by animal rights activists. Transmitted in a drop of blood and devastating within seconds, the virus locks those infected into a permanent state of murderous rage. Within 28 days the country is overwhelmed and a handful of survivors begin their attempts to salvage the future, little realising that the deadly virus is not the only thing that threatens them." I had forgotten how intense this movie was. A modern classic. "28 Days Later" is a masterpiece of modern horror. I first saw this film in the theater back in Summer 2003 (U.S.), and was completely pulled into this world from the opening scene. Very visceral & rough - the intentionally gritty PQ added to the intensity of the story. To some extent, the whole film felt like an extended news documentary - and I mean that as a compliment. I also liked how the "zombies" in this film moved very quickly, which separated them from the typical "slow" zombies from The Night of the Walking Dead & related movies; also, these "zombies" were actually still "alive", IIRC - which also was a big difference from what had come before. The follow-up film "28 Weeks Later" is also worth checking out. I did see "Devil's Due" and that's a quite creepy movie; the hand-held camera aspect adds to the realism. 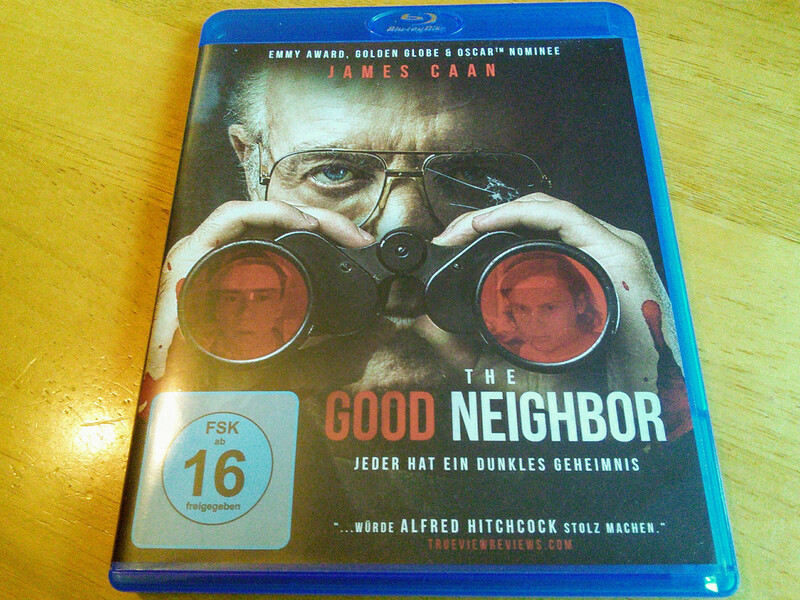 Never heard of "The Good Neighbor", but big fan of James Caan - so will have to check that out. Glad to see Caan is still acting. 1999 Neil Jordan (The Company Of Wolves) serial killer thriller that has a nonsensical plot but is redeemed somewhat by being both stylishly shot and featuring fun but O.T.T performances from Annette Bening and Robert Downey Jr.
Picturesque Massachusetts settings help as well plus some great atmospheric music from US composer Elliott Goldenthal that fits the movie perfectly! Has its flaws but still entertaining enough and I quite enjoyed it overall! 7/10. https://youtu.be/hIOCUYUYKpc - Dream Baby by Elliott Goldenthal that features on the soundtrack of In Dreams. https://youtu.be/YrRlBd0IDOo - In Dreams trailer (1999). "In the summer of 1935, 12-year-old twins Niles and Holland Perry live with their family on a Connecticut farm. Their loving grandmother Ada has taught them something called "the game." A number of accidents begin happening, and it seems to Niles that Holland is responsible. This was a good psychological horror film featuring nice cinematography (Robert Surtees) and Jerry Goldsmith score. 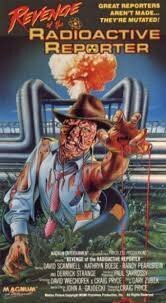 This was a charming late 80s independent zombie flick written and directed by J.R. Bookwalter, shot on Super-8 (1985-86). Bad acting, fun death scenes with lots of blood and Zombie Squad vs. evil cult action. Just started watching this 1982 classic! "A research team in Antarctica is hunted by a shape-shifting alien that assumes the appearance of its victims." What can I say? One of the best movies ever! Yeah, that'll do! 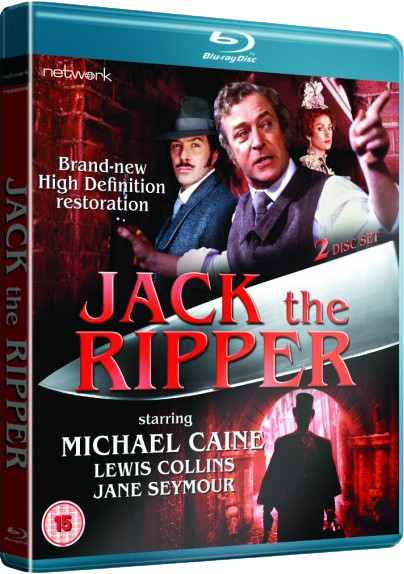 "During the latter half of 1888 a notorious serial killer nicknamed Jack The Ripper terrorises the East End of London by murdering prostitutes in a terribly violent way. Public outrage follows. Inspector Frederick Abberline is assigned to the case but finds that it is not just a simple murder enquiry. Based on a real life event, this film claims to have had access to top secret Home Office files and believe that their ending is the correct solution to the age old mystery." Broke out this old favorite of mine for a re-watch. 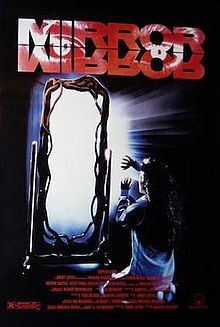 Though it is very similar in tone to A Nightmare on Elm Street 3; right down to starring Jennifer Rubin who also had a role in Nightmare 3, I still think it's a pretty sweet unsung gem of the 80's. And it has a great cast of other good actors of the 80's including: Bruce Abbott, Dean Cameron, E.G. Daily, Susan Barnes, Susan Ruttan, and Richard Lynch. So this is one I definitely can recommend checking out if you can find it and haven't seen it yet. 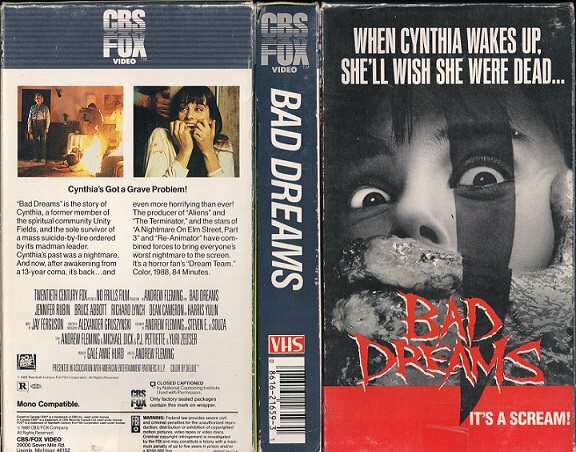 Bad Dreams is awesome Pyro and I quite enjoy American Gothic or Hide And Shriek as it was known here in the UK. I watched Leprechaun for the first time and though obviously extremely silly I found it to be pretty good fun with Warwick Davis giving it his all as the evil little Leprechaun who is hellbent on finding his lost gold coins. The effects work was decent enough plus there's a few good laughs here and there whether intentional or not and to top it all of a performance from a very young looking Jennifer Aniston of whom I'll be honest I'm not the biggest fan of but I found her to be a lot less annoying here than what is her usual! Not sure how the many sequels measure up but this was more enjoyable than what I was expecting so I might well check them out at some point down the line! Super lame ultra low-budget flick starring Vincent Van Patten and Betsy Russell. "Alice Spages is a withdrawn 12 year old girl who lives with her mother, Catherine, and her younger sister, Karen. Karen gets most of the attention from her mother, and Alice is often left out of the spotlight. But when Karen is found brutally murdered in a church before her first holy communion, all suspicions are turned towards Alice. But is a twelve year old girl really capable of such savagery? Fantastic mid 70s american giallo with an interesting plot and cool cast.